The video mentioned in your post is now out of date. The reference in it to subdomain is in fact a folder. A subdomain is the part before the main domain e.g. shop.maindomain.com. I thought that this item would help with my dilemma but it doesn't. Take note of the posted date from my last reply. It was never mentioned on any of my posts that the posts that I provide may be a lifetime provided-solution. 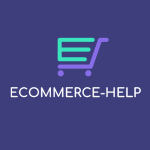 I think its one of the easiest eCommerce portal that can be transferred 1 to another hosting. I would second that. I've used many shop/cart systems and would always use Opencart for every Ecommerce project. I used a well known competitors community edition once and had sleepless nights for a week. Opencart just works. This was a good overview/tutorial of the basics. As we begin final edits on our revised site, my struggle is keeping the live site where it is, and having the new/updated site edit-able somewhere within the same host/server. Seems to be a conflict. Either we create a subdirectory and rename a lot of things (links, etc), or we open a second hosting account for a short period while editing/finalizing before launch. 3) create subdirectory (storename.com/dev) to hold all files/folders for dev site to edit, meaning re-linking all relevant info twice or more (once while in subdirectory so it all works, then again to launch into live site). Any recommendations appreciated on easiest way to a) retain the primary live site while working on the dev site, and b) do so with the least amount of rewriting links. Thanks. I woule clone the live site and database into a subfolder, make your major changes without worrying about any links. When you're happy with the changes port them to the live site. If you have a few broken links while you wrorking on it would that be a major problem?